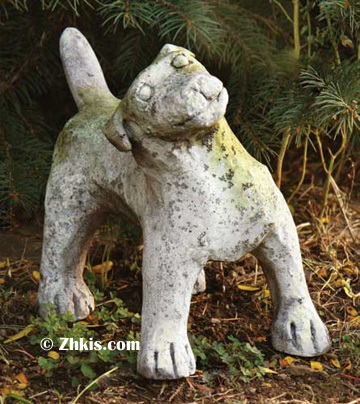 A lovely little puppy statue. This is the cutest piece of a young puppy with his head cocked to one side. He has a curious look on his face. As if what are you doing. A primitive looking piece yet still has a look a sophistication. A perfect piece for your garden or under that bush.